A 75-year-old asymptomatic man presented with an anterior mediastinal cyst without a solid component on computed tomography. 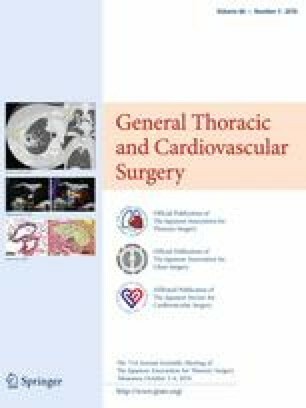 Pathologic examination of the specimens obtained by thoracoscopic resection showed a thymic cyst with a 1.6-mm type A microthymoma in the surrounding thymic tissue. In addition, there were multiple hyperplastic nodules smaller than 1 mm histologically corresponded to microscopic thymomas. The patient underwent completion thymectomy through median sternotomy; thereafter, there was no residual thymic neoplasm detected. This was the first case report of a type A microthymoma. Microthymoma or microscopic thymoma could be present concomitantly with a thymic cyst without a solid component.